Ok so this technique is a little different but it was fun to try and I like adding my own spin on to things. There are many tutorials on youtube showing how to do String Art. I tried it with the Fiskars Stamp Press and Distress Oxide reinkers, items that I have on hand. 1. Have lots of paper - I went through a bit of paper using this. I tried using Papertrey Ink cardstock but didn't have much luck with the texture of it. Neenah cardstocks (solar white 80lb, 110lb and Dessert Storm 100lb) worked nicely for me. I did use the "bad" ones as the topper piece and to cut out the die cuts, so there was less waste. 2. Type of string matters - Papertrey Ink Baker's twine gave me the best results. I used PTI's Chocolate Bakers twine but the color didn't have any impact 😂. I used a thinner thread and it gave me a more solid impression; the twine has texture and helped with the cross hatch effect at the bottom. 3. Pressure and Pull - I found it best to hold the Fiskar's Stamp Press firmly but allow enough give for the twine to move easily between the 2 cardstocks. Also this allows you to pull the string out straighter and creates the cone shape. 4. Most importantly - Have fun with it. I tried things that I had on hand. So I don't think it's neccessary to go out and buy acrylic paints or vice versa don't go out and buy reinkers if you have paint. I don't have a large book that I didn't mind getting ink on so that is why I used the Stamp Press. 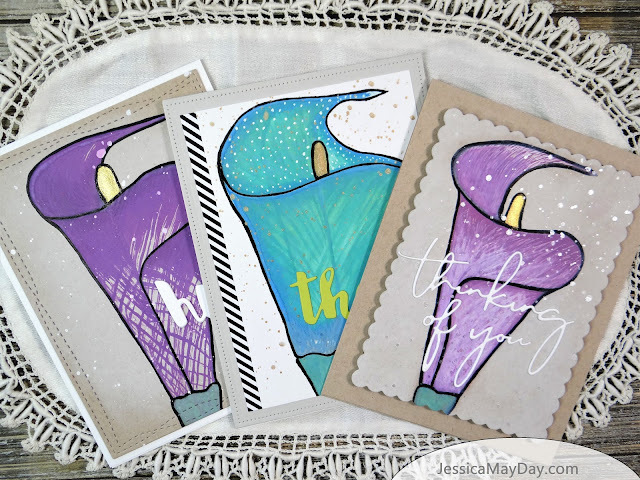 Paint your creations, draw on them, splatter them make multiples on one card. Just enjoy the process. Photos of individuals cards below. <-------- This one I made while "practicing" and not filming. But I liked it so much I put it into the tutorial. You may recognize this from the video above. This one I showed what I did from start to finish. I really like the texture and colors. 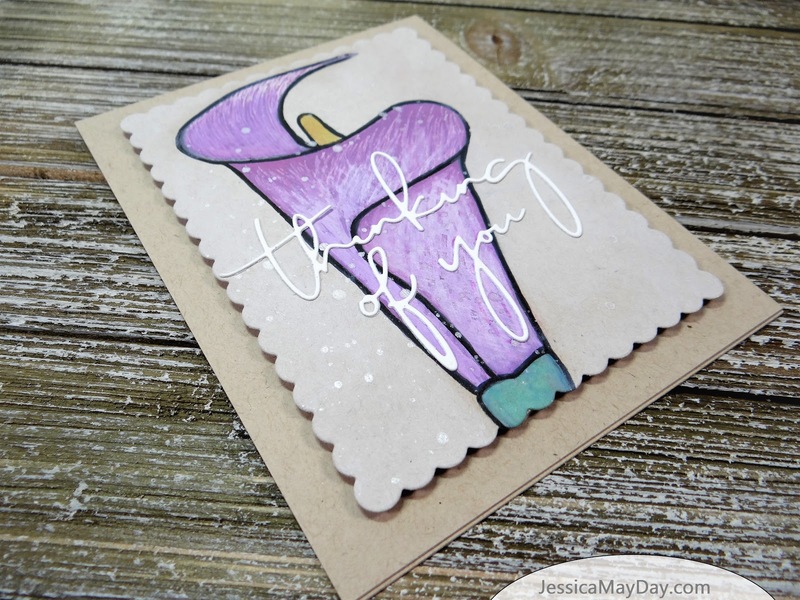 The white pigment ink blended over kraft card and then popped up with foam mounting tape on a blank Kraft card base is really soft and pretty. <-------- This is my "untouched" version. I have a few clips of making this one in the video tutorial. I added a bit of cross hatching to the lower end of the lily but kept it cleaner then the other 2. Whoah... still me with me? I know that was a lot! Thank you for reading all this and spending some time with me. Let me know which out of the 3 you like the best in the comments below! or have you tried this technique before? What was your experience?